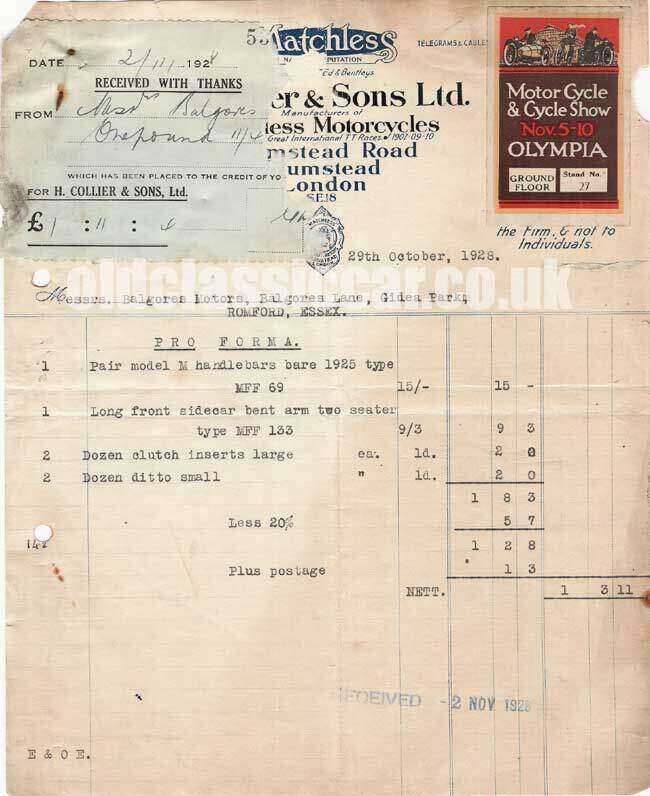 This fab old invoice and receipt was issued by H. Collier and Sons Ltd, manufacturers of the classic Matchless bikes. The artwork and design of the billhead is great. Unfortunately the payment receipt has mostly attached itself to the invoice, on top of some of the heading. Some careful prying would probably get it off, but there would be damage to the invoice itself so for now I'll leave well alone! 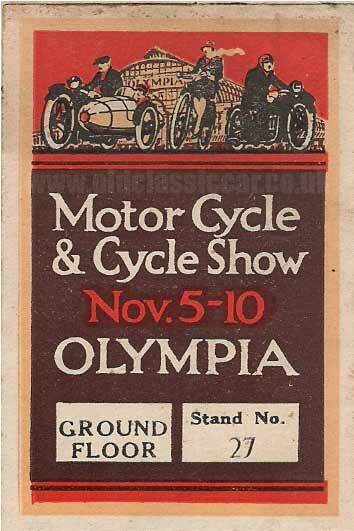 Of real interest is the gummed label affixed to the top right corner, advertising the Motor Cycle & Cycle Show to be held at Olympia between November 5th - 10th (Matchless motorcycles would be on show at Stand No. 27 on the ground floor). H. Collier and Sons Ltd were the manufacturers of the Matchless motorcycle, and a plug for their triumphs at the 'Great International T.T. Races 1907 - 1909 - 1910' gets a prominent mention. The black text in the header is slightly embossed - a sign of quality. They were situated on the Plumstead Road, Plumstead, London SE18. Under the receipt, to the left, is mention of their two factories - Burrage Grove, Plumstead, and Mast Pond Wharf, Woolwich. Originally, Colliers produced pedal bicycles in the late 1800s. They built their first production motorcycles in 1912 powered by their own units, having originally built some JAP-powered bikes a few years earlier. They won the inaugural Isle of Man TT, back in 1907, which gets the mention on the billhead above. Charlie Collier (son of H Collier) competed in this event on a single cylinder bike to take the win. In 2007 this lovely old photo turned up. 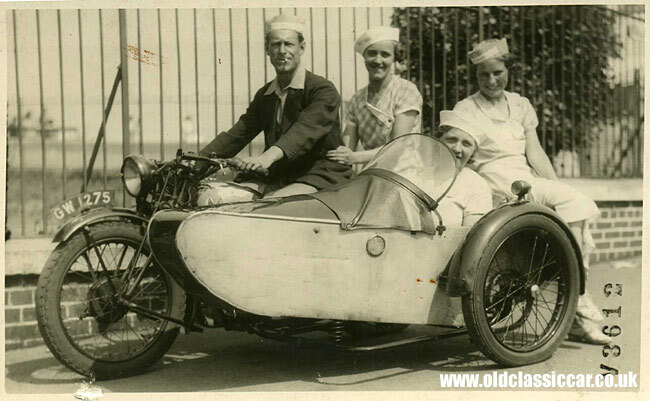 A note on the back dates it to August 1937, and shows a chap with three dames, sat on board a Matchless motorcycle (registration GW 1275). Quite why they are all wearing those hats is anyone's guess, but they all seem happy enough, especially the gent in the saddle, dragging on his Woodbine (or was it a Craven 'A'? ).